Bring the excitement of arcade basketball right into your own home! 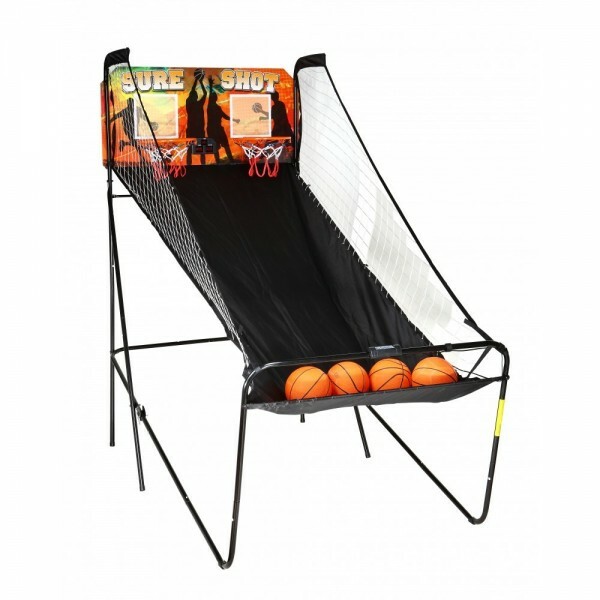 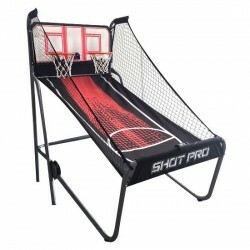 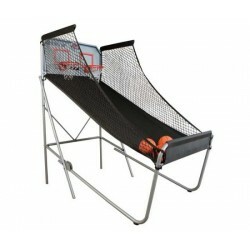 All the thrills and excitement of an arcade basketball game, yet specifically designed for home use. 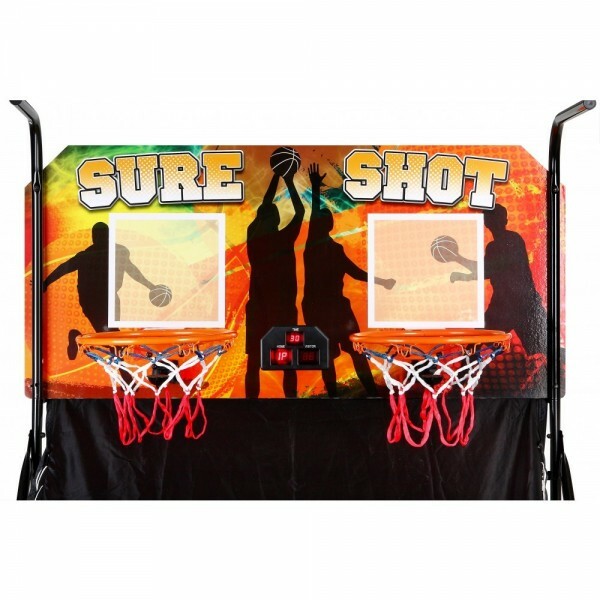 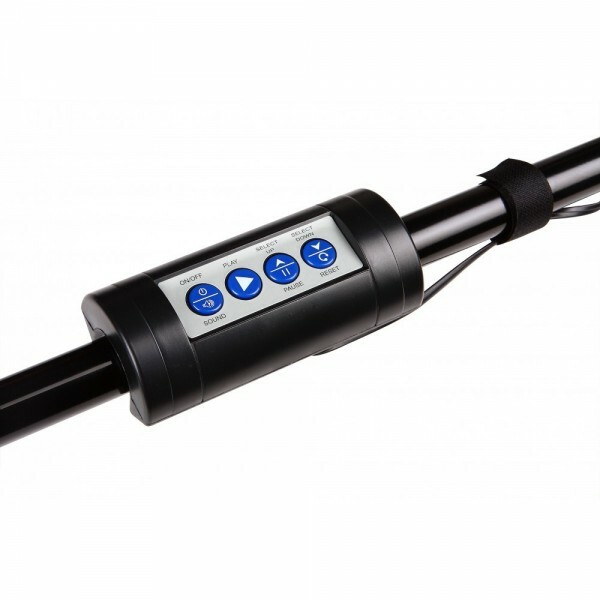 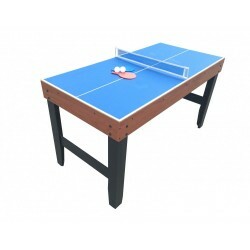 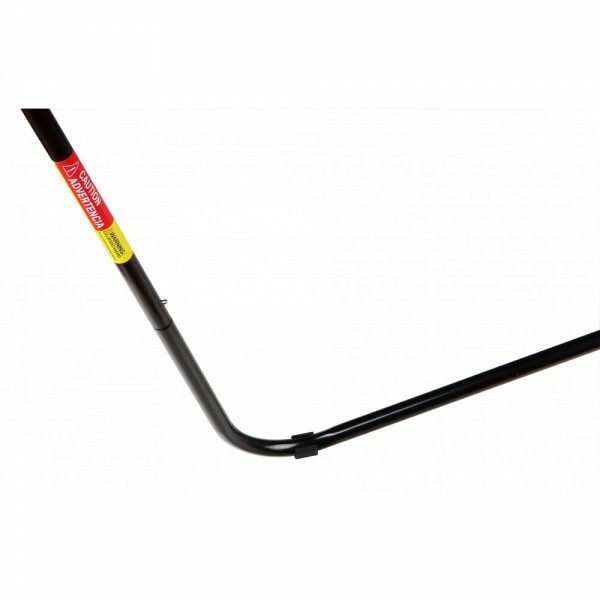 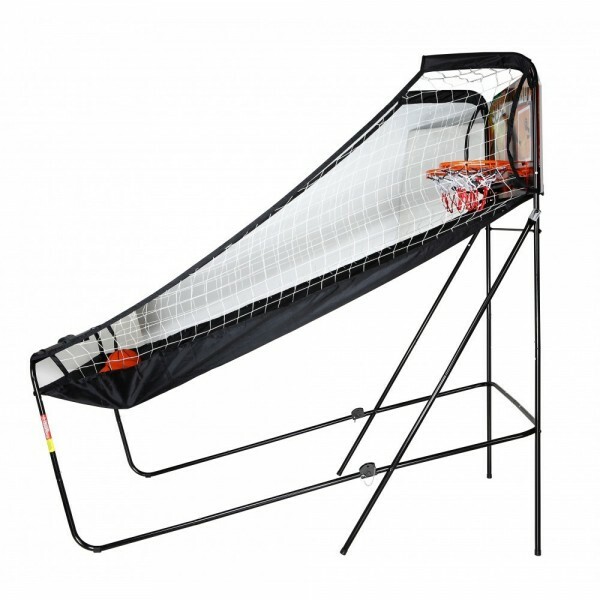 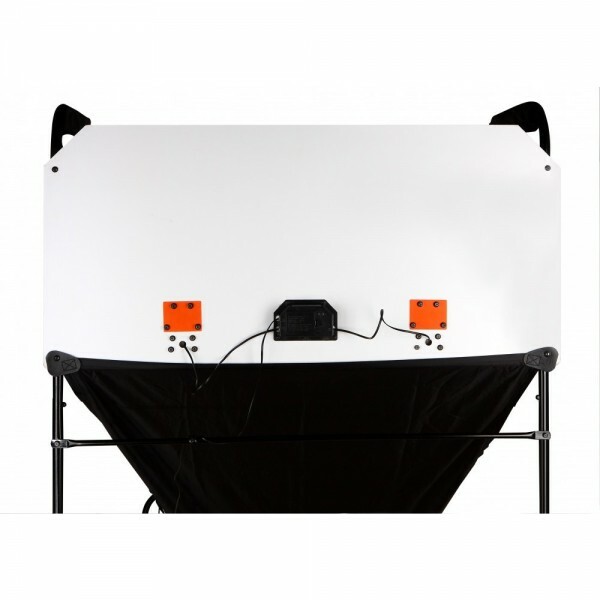 8 exciting game options , set up for one or two players, LED electronic scoring with built in time clock and sound keeps track of the score and the game moving rapidly, It's rugged steel tubing frame provides stability and sturdiness - When not in use the unit folds for easy storage. 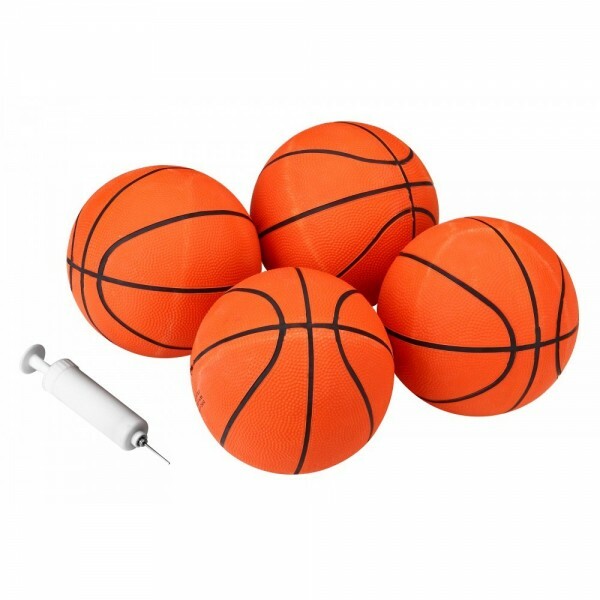 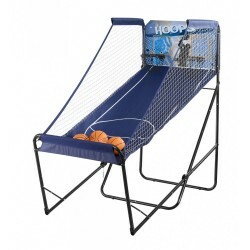 Includes four basketballs, inflation pump and needle. 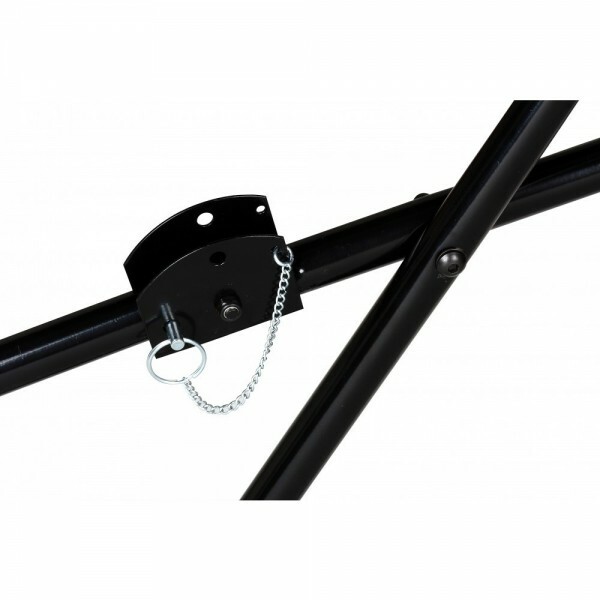 • Table Weight: 30 lbs. 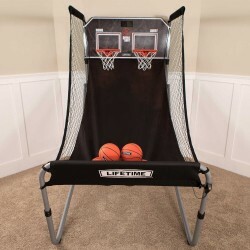 Shipping weight: 33 lbs. 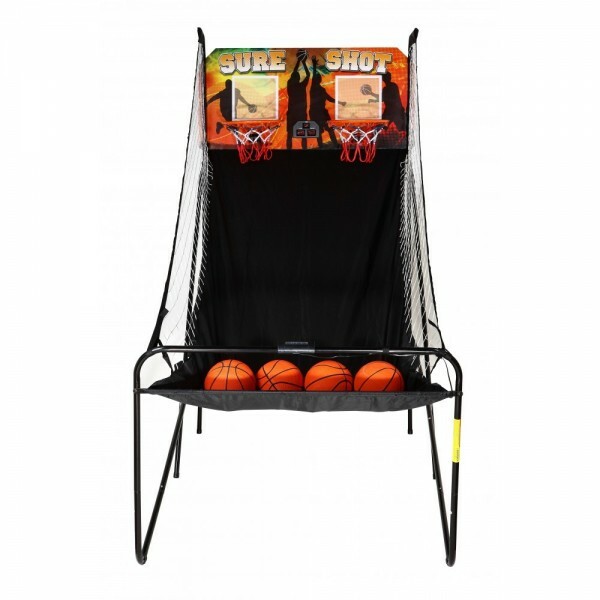 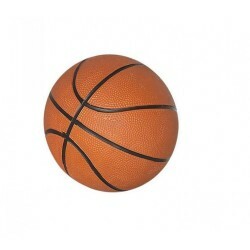 Quality Arcade Style Basketball Is Made With Thicker Steel To Outlast The Competition!